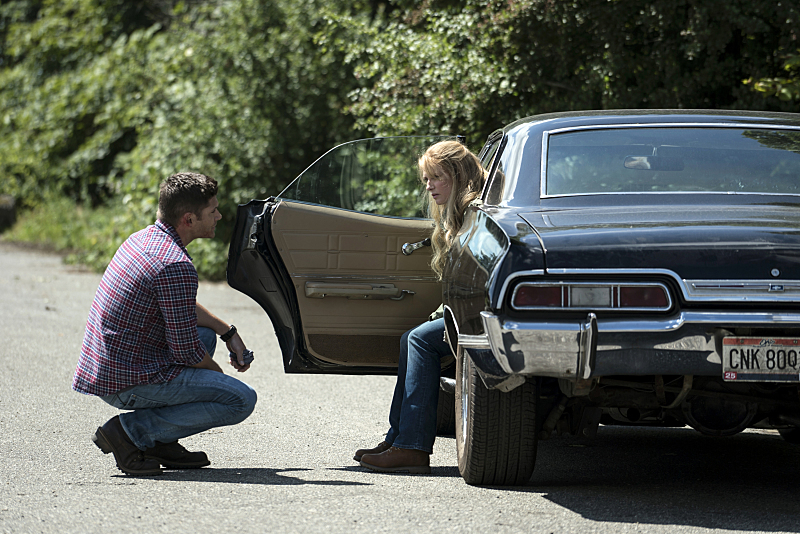 Preview images for the Supernatural Season 12 premiere, titled "Keep Calm and Carry On." The episode may still be several weeks away from airing, but today, The CW released some preview images for the Season 12 premiere of Supernatural. The title of the season premiere episode is “Keep Calm and Carry On” and in it, Samantha Smith plays Mary Winchester, Sam and Dean’s mother. Also seen in the photos: Jared Padalecki as Sam Winchester, Jensen Ackles as Dean Winchester, Misha Collins as Castiel, Elizabeth Blackmore as Toni Bevell, Bronagh Waugh as Ms. Watt. An official description for the episode will probably not be here for a few weeks. Are you excited for another season of Supernatural? Come talk about the show on our forum! You can see the new photos below. Supernatural Season 12 premieres Thursday, October 13 on The CW.